One of the things I have grown up with while working at DNR is LiDAR. Actually, it took me awhile to start using LiDAR, my first projects for identifying landslides used aerial photos and 10m DEMs. Not the easiest way to go once you learn to use LiDAR. Here is an example of some very clear and fascinating landslides in Whatcom County. Isn’t that the best thing since sliced bread??? Yesterday, DNR released a report on how public and private lands complied with forest practice rules. The report can be downloaded here. Compliance was at about 87% for road and road activities and 75% for other forestry related activities (for example, logging), focusing on areas adjacent to streams. When I was in school, 75% was never a good grade. On page 43 of the report, the biggest number of non-compliant Forest Practice Applications (FPA) found were located in Pacific Cascade Region and to a lesser extent, Northeast Region. A closer view of Pacific Cascade Region can be viewed on page 36-37. So, how does this relate to landslides? SW Washington is probably one of the most unstable areas in Washington State. Continental glaciers buried or carved most of the Puget Sound basin, which in many respects, reset the weathering depth within that area. In the SW, no large continental glaciers have carved and buried the land, resulting deep-weathering and increased instability. Plus, we have had two consecutive years of strong storms impacting western Washington. In both storms, Lewis County and in general, SW Washington, has been devastated by landslides. It would be interesting to see if these non-compliant FPA’s resulted or triggered a landslide. In the world of landslides, there is something like a secret underground of meetings and groups. Technically, I think these groups are open to whomever wants to go. So, here is the tangled web of groups and subgroups. First off, Cooperative Monitoring, Evaluation and Research (CMER), which is hard to explain everything they do, but basically a research and policy type group that uses science to improve the management of Washington State Lands. A subset of that group, which mostly deals with landslides (and policy), is UPSAG (Upland Processes Scientific Advisory Group). It is full of government, environmental, and private (timber companies mostly) people, which makes the conversations entertaining. The part that I like best about the group is most of the people there use science as their talking points on where focus should be steered. Probably some of the most interesting science studies I have seen come out of the meeting is from Weyerhaeuser, which is led by Ted Turner. I wouldn’t say I am a industry supporter, but I am not anti-industry, I try and base my opinions and thoughts on what science points to and look at the risks we take in our management. Another subgroup, which is part of CMER, is the TAG (Technical Advisory Group), which if I understand it right, is a group that advices projects funded or supported by CMER. Yesterday, I attended a TAG meeting on a project known as the LHZ (Landslide Hazard Zonation) Project. The LHZ project is how I got started at DNR, when I came aboard about November 2004. It was a mixed bag, we were pressed hard to perform and two of us on the group consistently worked 60-80 hour weeks to meet the deadlines. Others who didn’t were pressured even harder to get products out quicker. The good part, I learned more than I ever thought I would about landslides and forestry. It culminated in a talk I gave at a CMER Science Meeting (watch me here). A lot of the talking points at the TAG meeting were the same issues when I was aboard the project, which reminds me of how some things never change. I have a lot of faith in the LHZ project, I think if it was used correctly, it would improve the management of our forests. Unfortunately, talking to some of the foresters out there, sometimes they don’t know the product exists and when they do, they are not aware of how to use it. Sometimes I think managing land should be the same as the Growth Management Act (GMA) or Critical Areas Ordinance (CAO), one must use best available science to help best manage where growth should occur. Luckily, that is what UPSAG strives to do, but I don’t think it is mandatory, yet. 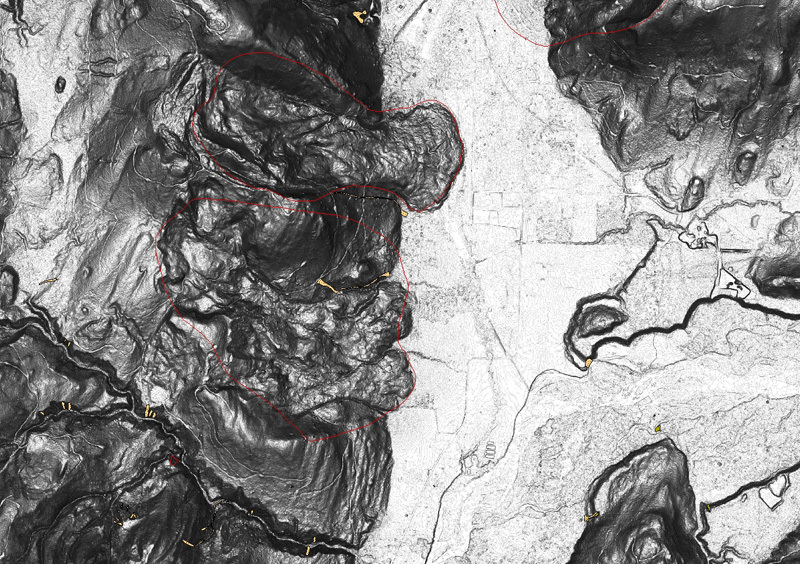 As part of a statewide effort to map unstable landforms in forested watersheds, landslides in the Mason Watershed Administrative Unit (WAU) were evaluated using lidar, orthophotographs, aerial photographs dating from the 1960’s to 2000’s and reconnaissance field work. During our landslide study, the Alderwood landslide was identified as a major complex in Hood Canal that may have been triggered by seismic shocks. The Sunset Beach fault runs parallel to the Alderwood landslide and intersects with the headscarp. Trench stratigraphy showed one surface displacement event, which is younger than 1.3 thousand years (personal communication, Alan Nelson, USGS). A tsunami deposit observed by Jovanelly and Moore, 2005, is located to the northeast of the Alderwood landslide. This study indicates that this deposit was correlated to a seismic event approximately 1,100 years ago (Jovanelly and Moore, 2005; Moore, 1991) . 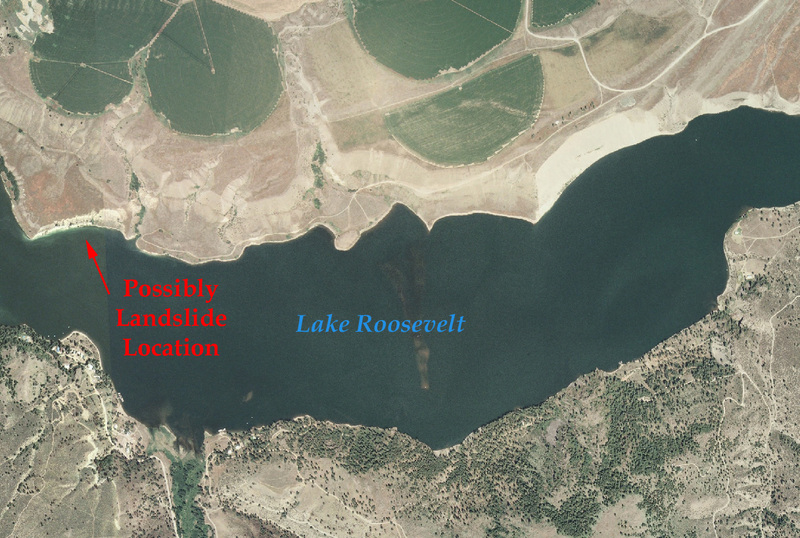 The correlation between the tsunami deposit and activity along the Sunset Beach fault make this landslide complex an ideal origin for the tsunami deposit in Lynch Cove (Bucknam, et al, 1992). Wood samples from a core of the sag pond, to shattered till below, dated at 900AD (limiting age). One of the most interesting things about this landslide is its similarity to landslides that moved during the 1964 Good Friday earthquake in Alaska. Looking at cross sections from Turnagain Heights and Government Hill landslides show similar lateral spread and earthflow processes (Barnhardt and Kayen, 2000; Hansen, 1965). This has some interesting implications, are Washington’s Puget Sound shorelines vulnerable to lateral spreads during large Cascadia Earthquakes (like the January 26, 1700 earthquake), or is this a fluke or a confluence of numerous factors, such as a fault along the shoreline? Barnhardt, W.A. ; Kayen, R.E., 2000, Radar Structure of Earthquake-Induced Coastal Landslides in Anchorage, Alaska, Environmental Geosciences, Volume 7, Number 1, 2000 38-45. Bucknam, R.C. ; Hemphill-Haley, E.; Leopold, E.B., 1992, Abrupt uplift within the past 1700 years at southern Puget Sound, Washington: Science, v. 257, p.1611-1614. Hansen, W. R., 1965 Effects of the Earthquake of March 27, 1964, at Anchorage, Alaska, USGS Professional Paper 542-A. Jovanelly, T.J.; Moore, A.L., 2005, Tsunami origin for an 1,100 year old enigmatic sand sheet in Lynch Cove, Puget Sound, Washington, U.S.A. [abstract]: Geological Society of America Abstracts with Programs, v. 37, no. 7, p. 65. Moore, A.L., 1991, Evidence for a tsunami in Puget Sound 1,100 years ago [abstract]: Eos (American Geophysical Union Transactions, v. 72, no. 44, Supplement, p. 315. Today I am still anxiously waiting for the final budget from the legislature to be finalized. The budget itself, although sounding painful for the general public and poor, doesn’t directly affect my position, although once it passes, the management at DNR will release which people stay and which will be shown the door. Geologic Hazards has been in the cross hairs for quite awhile, being targeted by the Governor’s budget. Not only would this mean my position would probably be terminated or I would be shuffled around, but Washington State wouldn’t have anyone to document or respond to future landslide events. I did a quick calculation as to how much land mass is covered by landslides, mapped within our landslide database. It is about 1.5-2%, or roughly 1,000-1,400 sq mi (2,800-3,700 sq km), and that is all we know about. Each year, landslides cause tens to hundreds of millions of dollars in damage. Washington is covered in landslides, from small itsy bitsy soil sluffs to massive landslides that are some of the largest terrestrial mega landslides in the world (Malaga or Stemilt Landslide). In the good ol’ USA, we are in the top 10 most unstable states and if records were better kept, I would say top 5. So, where does that put us? The DNR and specifically the Washington Geological Survey is one of the only agencies in Washington State studying and recording landslide data. We have a staff of 6 people in Geologic Hazards, 2 work on landslides full time. Someday, it would be nice to see landslides taken seriously as a major geologic hazard in Washington State.